Special Containment Procedures: Because of its size, SCP-169 cannot and almost certainly will never be contained—no structure on Earth is large enough or strong enough to contain SCP-169. The location of SCP-169 is not precisely known, but imaging satellites and analyses of eccentricities in the Earth's orbit suggest SCP-169 is located in the southern Atlantic Ocean, possibly stretching around the tip of South America (see Addendum 0-20). Any satellite footage of a shift in the landmasses produced by SCP-169 is to be excised and destroyed by embedded agents. Description: SCP-169 is surmised to be a marine arthropod of enormous size, known as the "Leviathan" by generations of sailors and oral history. Presumed at first to be a myth, SCP-169 was detected on ██/██/19██ by Mobile Task Force Gamma-6 during an investigation of paranormal activity around the █████ █████████ archipelago (coordinates ██°██'S ██°██'W). During Ɣ-6's investigation, Dr. ████ ████████ [Ɣ6-0912] discovered the archipelago to have moved at least three (3) kilometers from its original location. Though initially Dr. ████████ believed this motion to be due to unusually-quick continental drift, a reconnaissance mission performed by the USS ████████ revealed the archipelago to be the protrusions of rock-like plates covering an enormous organic mass. The Foundation was brought in immediately to begin threat management. Dr. ████████ and Dr. ██████████ [Ɣ6-0421] estimate SCP-169's body length to be between 2000 and 8000 km. The creature is thought to have existed since the pre-Cambrian era. No other specimens have been sighted. Almost nothing is known about SCP-169's habits, such as its reproductive capabilities (if any), food source, and nesting area (if any). Research regarding SCP-169 is pending approval. The archipelago known as the █████ █████████ Islands have historically been uninhabited, though claimed by ███████ in 17██. Upon handover to the Foundation, ███████ presence was evacuated on the pretense of rising sea levels. Though the archipelago has remained above sea level for several millennia, any change of depth by SCP-169 could result in the disappearance of the entire archipelago. SCP-169 moves slowly, less than one kilometer per week, but seems only to be adrift. Its method of propulsion is unknown. Regular seismic tremors seem to indicate "breathing" about every three (3) months, causing minor shifts in the islands' terrain, suggesting that the creature is probably dormant. Information Suppression: The USS ████████ was scuttled with all hands immediately after the discovery of SCP-169 with the permission of the American government. The public is forbidden from entering the archipelago created by SCP-169 due to the conveniently large number of resident endangered bird species. As indicated above, satellite footage is to be doctored in order to suppress knowledge of SCP-169's movement. NASA is currently cooperating with the Foundation in keeping the existence of SCP-169 quiet, and is currently permitting the Foundation use of their satellites for photographic use. Addendum [0-20]: In 199█, the U.S. National Oceanic and Atmospheric Administration, an American scientific agency unaffiliated with and unaware of the existence of the Foundation, detected an ultra-low-frequency underwater sound emanating from around ██ºS ███ºW, approximately ████ km from the southwestern coast of South America. Despite the best efforts of embedded agent ████ ████████ [IA-1522], news of the sound leaked to the media, receiving significant media coverage. Foundation analysis concluded that a massive underwater organism was the source of the noise, and SCP-169 was hypothesized to be its source, as its "head" is well within the possible locations of the rest of SCP-169. 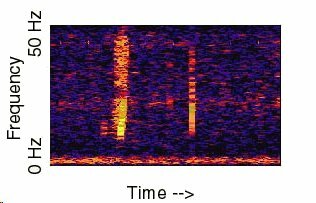 The sound confirms Ɣ6-0421's hypothesis that SCP-169 is gargantuan in size. Future efforts by scientific or civilian teams to determine the source of the noise must be stopped by any means necessary.